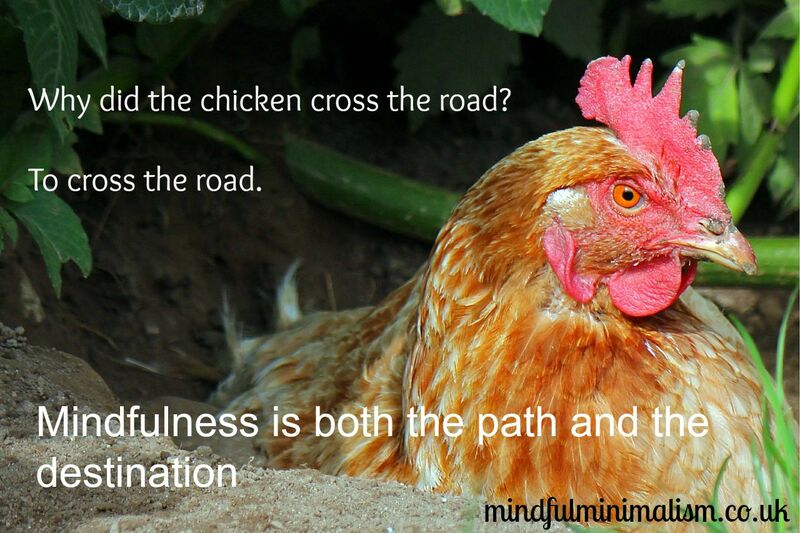 Mindfulness and the art of de-cluttering or Why did the chicken cross the road? My current experience of minimalism has an awful lot of focus on stuff. While I realise this is a short term cost for a long term gain, never the less I’m still very much in the land of “stuff”. What stuff stays, what stuff goes and where the stuff that is staying goes. My time is spent dwelling in the past (“Why on earth do I still have this?”) or the future (“Do I really need to hang on to this just in case?”). Having been away from the vast majority of our “stuff” for a week in Bonny Scotland I’ve realised what is missing (at times) from my journey towards a more mindfully minimal life – the mindfulness. Mindfulness is paying attention to our moment by moment experience, intentionally and non-judgementally. When approaching life, or minimalism, mindfully, you do not discriminate ‘good’ from ‘bad’. It is as it is. Through our quiet, focused scrutiny the object of our attention (be it external or internal) may appear more nuanced, more detailed, even more present yet it has always been so. What has been lacking was our mindful attention. My mother in law, in Bonny Scotland, doesn’t have a dishwasher so I have washed dishes several times in the last week. I was not washing dishes thinking, “It must be someone else’s turn to do the dishes!” (judgement) or “I’m looking forward to having my cup of tea” (future thinking)”, or “I wish people would wash there own mugs when they’re finished” (expecting things to be different) or “I really enjoyed building sandcastles with my daughter this morning” (dwelling on the past). Or at least when these thoughts did pop into my head, I noticed them and returned to washing the dishes. As I washed the dishes, I noticed the crumbs of food and dried sauce. I felt the cloth going over the smooth surface of the plate. I noticed the temperature of the water, the smell of the soap suds and the light coming through the window. I felt the tension in my shoulders and moved them. I became aware of my breath as it rose and fell. I rinsed the sink out carefully, watching the dirty water run down the drain. Having fewer possessions is less distracting – physically, psychologically and temporally. Our attention is liberated to focus mindfully on what we have chosen to keep in our lives. However the journey needs our attention too. At times I find myself making quick decisions and tossing things out – literally tossing them across the room towards the relevant box. While this is great in terms of speed, especially when I’m feeling time poor, I can’t help but be left with the feeling I’m missing something. My wife and I love reading and books. We met in a book group, had a book themed wedding and we own lots of books. Yet in the process of removing a guestimated 50% of our books (so far), we got faster and faster. The last book case was sorted in 5 minutes with most of that time being spent removing the books from the shelves to begin with. The decision process was quick and only 20% of those books stayed so they were quick to put back. I have no idea which books left that day (rather telling in itself) and an idea of what remain but I wonder what I missed in the process. I’m a firm believer in learning from our mistakes, not judging the but definitely learning from them. Behavioural change is hard and yet my reflections (and revelations) of why it was so hard to get rid of my little black dress have helped to cement a new approach to clothes shopping: when I need to replace something, I buy the best quality I can afford and ensure it is fit for purpose (in style, colour and function). Who knows what lesson my books would have taught me if I’d paid mindful attention to that part of the process. Perhaps they were simply the vehicle to encourage me and reaffirm my commitment to being a present-dweller and to practice mindfulness in the art of de-cluttering. Items de-cluttered this week – We came home to a freezer which had been off for a week (thanks Mr Tripped Switch!) Therefore there was an unplanned bin liner of food, four books, a DVDs, two CDs, a wrap (baby sling) and a car seat. A blog I’ve enjoyed – Being away from home has scuppered my efforts to reduce my internet phone use and I’ve read numerous fantastic blogs. It has been tough to pick one however, a friend asked me ages ago about how to declutter children’s possessions respectfully. Therefore, for her, I’ll share Janie Baran’s post over at Simple…not plain on Minimalist living with children. Janie is a mother of two and while her Simple…not plain blog has only been active for four months each post is packed full of inspiration and instruction on what to do. It’s the first time I’ve come across the idea of a capsule wardrobe for children! It’s a great read. While I have really enjoyed sharing my thoughts on mindful minimalism, I have no desire to reinvent the wheel. This week I’ve compiled a post that gathers the best resources I’ve found, in the great minimalist blogosphere, on how to achieve a minimalist/capsule wardrobe or basically remove items of clothing that are no longer required (either through fit, style or excess). Obviously one size does not fit all so I’ve included a few different links that have helped me at different stages of my journey. This is partly in preparation for my second attempt at removing things from my wardrobe when I get back from Bonny Scotland. I completed started this task on January 1st 2015 producing 4.5 bin liners and since then a steady stream has continued to leave. Clearly I’ve not done a thorough job and my hope is that in Marie Kondo’s words if I “do it once and do it properly” the stream will cease. Until then I shall leave you with these. Denaye Barahona’s post, at Dallas Mom’s blog, Why I got rid of my wardrobe, helped me believe a minimalist wardrobe is both possible and achievable (for me). I already have a wardrobe of clothes that colourwise work but taking it that step further to think about what combinations work is my next task. I love that this post has before and after photos of her closet and pictures of 12 different outfits she can assemble by simply grabbing a selection of clothes and shoes. Last month I referenced Jennifer Skinner’s blog, The Very Small Closet when describing the process of letting go of my little black dress. I found Jennifer’s three-part post on learning to let go of clothes clearly helped me to identify clothes I was holding onto that represented an investment of my money, because of the association factor (holding on to the memories associated with the item) and the because I was imagining the future: The Someday… factor. I really enjoy the accessibility of Joshua Becker’s posts at Becoming Minimalist and it is lovely to see how he has evolved as a minimalist (and writer) over time. He also includes regular guest posts. One such post was The story of enough by Sarah Peck, which resonated with last weeks post on being a Good Enough Minimalist. Sarah gave up buying new clothes for a year and discovered what she liked and what mattered to her. If you’re still not convinced you can do it, then how about a look at Joshua’s post A practical guide to owning fewer clothes. He outlines 10 clear steps that are practical and applicable. I certainly need to revisit a couple of these! No post on minimalist wardrobes would be complete without mention of Courtney Carter’s Project 333. Wear only 33 items of clothing, shoes, jewellery, and outerwear for 3 months. There are some exclusions such as workout gear, underwear and your wedding ring don’t count. If that is feeling a little daunting, I love her list of 33 things to eliminate from your closet. 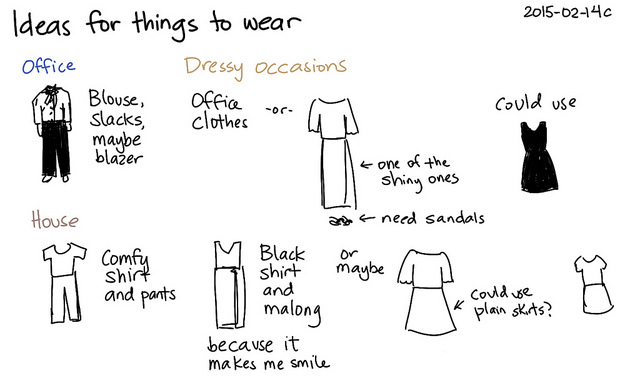 And last but certainly not least is Janie Baran’s post over at Simple not plain on how to develop a minimalist wardrobe. It contains a step by step formula that combines consideration of colour, style and suggestions on what to have as your base items, secondaries and accessories. She suggests a 50 item complete wardrobewith a 33 item working wardrobe. It is a great guide to getting started and is an alternative approach rather than staring with a remove the excess approach. I’ve no idea how to approach my next cull. Perhaps I should start with Marie Kondo’s ‘what sparks joy’ and then use Janie’s advice as a follow up. Whatever I decide, I’ll let you know what else I discover when my task is complete. Who knows, I may even find Narnia! Items de-cluttered this week – From the depths under the sink I’ve disposed of 6 partially used bottles of cleaning product I don’t use, 2 brushes, several items that I’ve no idea what they were for and part of the fridge we replaced two weeks ago. I’ve also (finally) defrosted the freezer and in the process have disposed of a bag of food I would prefer not to admit to or think about! A blog I’ve enjoyed – I love coming across posts that take ideas that I’ve had and extend them. This weeks post is one such blog. I’ve recently discovered the writing of Francine Jay over at Miss Minimalist and I have loved every post I’ve read thus far. Her post, Declutter your fantasy self, chimed so clearly with my post a few weeks ago about tomorrow is now that I had to share it. Her idea of seriously asking yourself what your fantasy self is like, and then being honest about our real self has already begun to help me think about the task of going through the wardrobes again when I get back from holiday. Every two years I have to re-register with the Health and Care Professions Council as an Occupational Therapist, to be able to continue practising under a protected title. As part of the process I have to stand up (or rather tick a box on an online form) and say that I continue to meet the Standards of proficiency, conduct, performance and ethics expected of my profession. Having just completed this process for the 6th time (where did all those years go?) I have been pondering about the standards we expect of our selves. I am not perfect. I know I’m not perfect and I’m glad about it. Perfection is fraught with difficulties both for the individual who is apparently “perfect” and those around them. Perfection is exhausting, unrealistic and as Gloria Steinem said “a pedestal is as much a prison as any small, confined space“. Personally, I’m aiming for Good-Enough. To be a good-enough mother; a good-enough wife; a good-enough friend; a good-enough colleague; a good-enough OT; a good-enough minimalist. Being good-enough suggests that failure is tolerable, mistakes can be admitted and progress is sufficient. Inbuilt is the idea that I am able to decide, for myself, what is “good-enough”. I don’t have to try and achieve anyone else’s standards but my own. I’ve never seen the appeal of counting my possessions. I’ve way too many for a start, but I also know that I will never be a minimalist with 51 things like Colin Wright, 72 things like Tammy Strobel or even 288 things like Joshua Fields Millburn. Each to there own but taken to the extreme I find minimalist environments cold and clinical and I’m just not that kind of minimalist. I worry when people see a number as being the magical answer, whether it be weight, size, savings account, pay check or number of possessions. The fundamental flaw in this approach is that the number is merely representative of something else. I’m sure at one time or another we’ve all bought into the “if only…” way of thinking. If only I earned more, weighed less etc, etc. The one thing that is guaranteed with “If only” thinking is dissatisfaction. When it comes to minimalism, the “If only” trap is still a trap. “If only I removed more possessions I’d be…”. Don’t get me wrong, the more possessions I remove from my life, the fewer I need. I’m sure at some point I will reach a point of equilibrium where it becomes more about maintenance and regular review rather than the constant river (sometimes tidal wave) currently leaving. However I’m not aiming for a specific number, either in terms of total number of possessions or in % removed. What will be will be. It just needs to be good-enough. Good-enough for me! How about you? Do you have a specific goal in mind? What’s good enough for you? Items de-cluttered this week – Jewellery (I didn’t want to count it all as it looked like a lot. I do know that what is left are pieces that I love and will wear regularly). 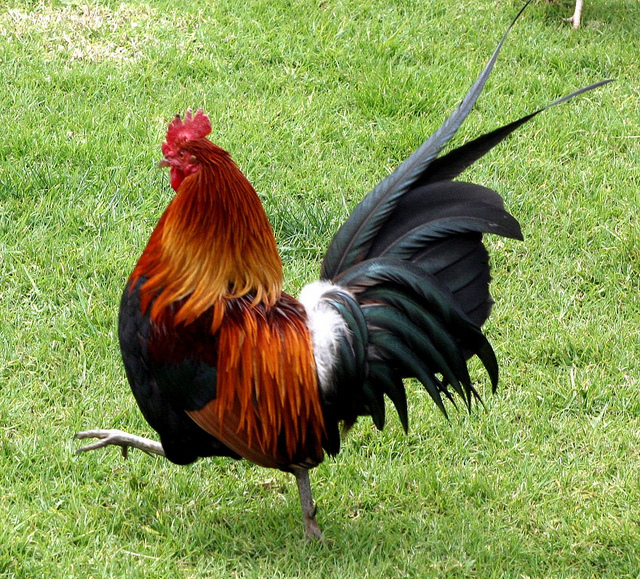 A blog I’ve enjoyed – This week’s blog I enjoyed only landed in my inbox 2 hours ago. To be fair I was going to share another blog by Melissa Camara Wilkins however When your life art is messy just resonated so completely with this piece that I had to share it with you. Melissa writes about life artistry and how even when the edges don’t quite line up and what you end up with is nothing like what you imagined, you continue the messy work of creation and revision. After all “It’s art. There’s no wrong answers”. I’ve worked for nearly a decade helping women change unhelpful behaviours and either discover, or recover, the life they want to lead. 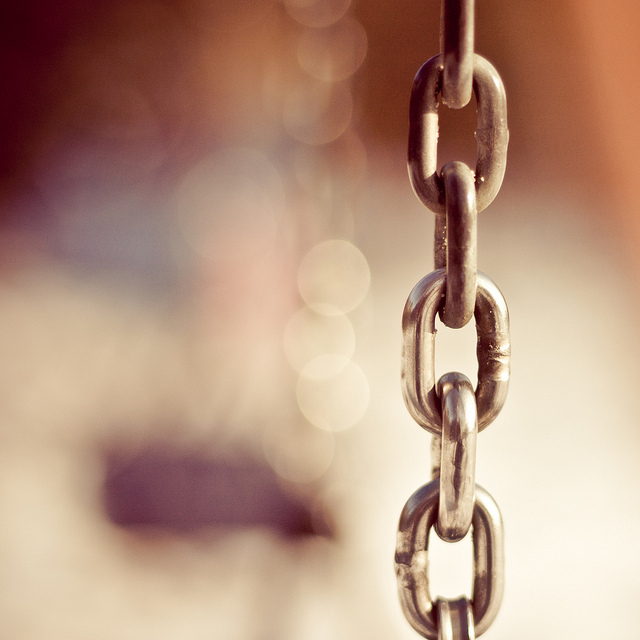 One of the technique I use is called a behavioural chain analysis: you analyse an unhelpful (or self-defeating) behaviour, looking at what made you vulnerable, what prompted the behaviour, what are the links in the chain and what are the consequences. You then move on to looking at what you could do differently, what skilful solutions can you identify, prevention strategies and how you might repair any consequences, correct the harm caused and then over-correct it (make things just a little bit better than they were before). What is the problem behaviour I am analysing? Describe the prompting event that started the whole chain of behaviour. It has been a gradual, slippery slope of phone internet use which has become habitual. However this week I have noticed that there are two particular triggers that increase my likelihood of using it mindlessly. The first trigger is urgency. I hadn’t previously considered the link between urge and urgency but there is certainly a sense of “I need to do this now”. Making a note of what I wanted to use the internet for helped me identify what was important enough to wait until my allocated time in the evening, what was actually urgent (looking up an address) and what was neither urgent nor important (these ultimately remained on my urges list). I only kept the list for three days as after this point my urges were non-existent. It goes to show that while the first step to behavioural change is becoming aware of how much you use a behaviour, the second is riding the wave of urges. The second trigger is overwhelming emotions. This only happened once during the week. Emotions are an important part of life, yet at times we are all guilty of using unhelpful strategies to avoid or escape from them when they feel “too much” (for example food, alcohol, cigarettes, other substances or psychological strategies). The occasion this happened, I was both aware of what I was doing AND wilfully continuing to do the behaviour. I was using my mobile internet both mindlessly and in bed. I was using it as a way to shut off from both my thoughts and feelings. This trigger is likely to be at play in my use (and probably other people’s use) of mobile phones while waiting. Who likes to be the odd one out, not on a phone? Describe in general what things made me vulnerable (both in myself and in the environment). I have a phone with internet capabilities which I have used for several years (environmental vulnerability). I have a, albeit misguided, sense of being able to fit things into less time, i.e. multi-tasking rather than engaging one-mindfully (personal vulnerability). I can value doing more than being (personal vulnerability). There is a cultural drive towards being ‘connected’, particularly via social media (environmental vulnerability). The transition to a new home internet provider did not go smoothly (environmental vulnerability). Although this is a general behavioural analysis rather than one focusing on a specific instance, there are certain common links I am aware formed part of many instances of the behaviour. “I’ll just” (check/look up/find out/buy) thinking. “I can’t deal with this ” (overwhelming feelings). Dealing with de-owning (particularly on Ebay and local parenting group). Wasted time (resulting in more stress as I have lots of things still to do). Tired as I don’t go to sleep as early. Fewer quality connections with actual people in my life. I miss the world around me. Damage to relationships through neglect. Not living the life I want. Describe in detail different, more skilful solutions to the problem. The wake of a duck paddling across the river. The army of purple thistles lining the path. lots of bees buzzing around a plant with yellow flowers. The hill at the end of my walk to work. The warmth of the sun on my skin. Plants scratching past my leg. My daughter signing bird for the first time. A dandelion seed blowing past my cheek. A discussion between my wife and daughter at bath time about Signor ‘Green Boy’ (a duck!) jumping out of the bath which one party found hilarious. It is definitely easier to give up a behaviour when you have an idea of what to replace it with. I have also cleared more things of my to do list, including replacing the fridge which has been driving me bonkers for over three months and booking a dental appointment. I have even managed a couple of formal mindfulness practices which I feel very proud of. Dialectical thinking – I can both be frustrated by my mindless use of the internet & want to change this AND have discovered this weeks blog I enjoyed while mindlessly using the internet. Describe a prevention strategies (to reduce your vulnerability). Mindfulness is a key prevention strategy to help me manage my vulnerabilities. The more I use mindfulness (both informal and formal), the more value I place on being a human being rather than a human doing. My interpretation of minimalism is just this; keep in your life the things that allow you to simply be. I am used, in many ways, to living a life that is “different”, and resisting the desire to know everything, all the time, as it happens is another example of this. Trusting my intuitive knowledge of what is right for me (it doesn’t have to be right for anyone else) helps me to simply be. Therefore my mobile internet can be used to add value to my life rather than distract from what is important. For example, today it enabled me to arrange a play date that both I and my daughter thoroughly enjoyed! Describe how you are going to repair, correct and over-correct the harm. The repairs to relationships, particularly with my wife and daughter, have already begun. When I am with them I am mindfully present, enjoying their company and appreciating the subtle changes that occur daily. Completing this behavioural analysis has been part of the correction of the unhelpful behaviour as it contains reflections on the behavioural changes I have already made (i.e. the new skilful behaviour I am now using). To over-correct the harm and make things a little better than before I have shared this behavioural analysis in the hope that others will become more mindful of when, where and why they use their phones. I’m also going to extend (or is it shrink?) my boundaries. For a month I’ll not use my phone at all on my walk to work, while feeding my daughter or before sleep. Reflections on this behavioural analysis. Given I ask my clients to think about thier unhelpful behaviours in this way, I really should not be surprised that this structured approach can be beneficial to identify what leads us into using a behaviour that interferes with minimalism and the life we want. 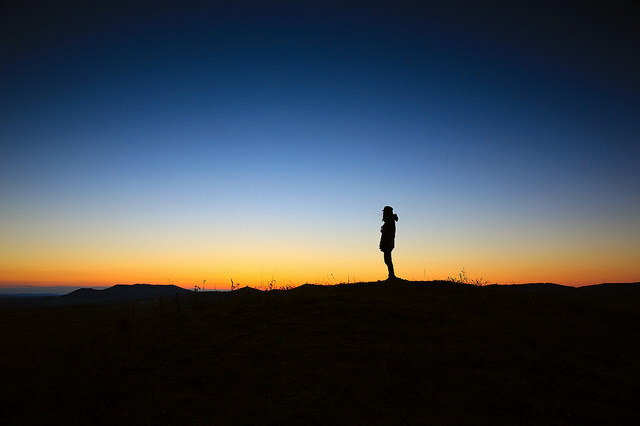 Many of us have used the mindless pursuit of possessions as an attempt to assuage or completely avoid our feelings, impress others, or pursue a life that does not leave us fulfilled. I feel strongly that the removal of physical clutter achieves nothing if we do not understand our reasons and drives for the original accumulation. If we remove the excess we are left with ourselves and, if unable to tolerate what we find, the cycle begins again. Mindfulness can lead to acceptance: it is as it is. It’s not good. It’s not bad. It just is. We are as we are. Items de-cluttered this week – This week has been (unsurprisingly perhaps) all about removing the digital/electronic clutter. I’ve removed all items from my email inbox (again!) and several email folders have been deleted without even looking in them. I’ve removed all files from one computer so I can dispose of the computer. I realise I’ve merely postponed the hard drive declutter but I’m using Marie Kondo’s technique of getting everything in the same place first. Only two computers to go! I’ve unsubscribed from a variety of email newsletters and have set up more rules for my emails coming in. I’ve tackled the cables box (I’m sure everyone has one!) and removed 2 cable tidies for phone line (we don’t use a landline), a phone line extension (we don’t use a landline), two bases and one portable phone (did I say we don’t use a landline? ), Adsl filters x3, 2 Wifi routers, Adaptor plugs x3 and a 5m TV coax cable and female adaptor (I have no idea what this is!). What I kept were (in addition to the extension leads we currently use – a 3m coiled extension, a 10m coiled extension and 2 other adaptors. I know we use all of these (although not permanently). A blog I’ve enjoyed – As I’ve been limiting my use of the internet this week (particularly in bed) I’ve not read as many blog posts and become more selective about the ones I have. Hilary Barnett’s article Tidying up, over at No Sidebar was a useful reminder that minimalism is about what you are keeping rather than what you are removing. While I will continue to include a snippet at the end of each of my blogs about what I have de-cluttered each week (I prefer actual examples over vague hypotheticals) I will also bear in mind the balance of what I choose to keep in my life.